Mirotic was also the week’s top scorer with 31 points. 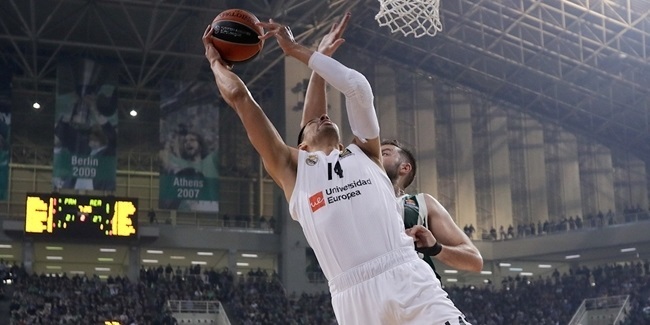 Bogdanovic’s 26 points improved his Top 16-leading scoring average to 21.8 points per game, though he is second to Montepaschi Siena guard Bobby Brown (19.3 ppg. to 16.3 ppg.) for the full-season crown. 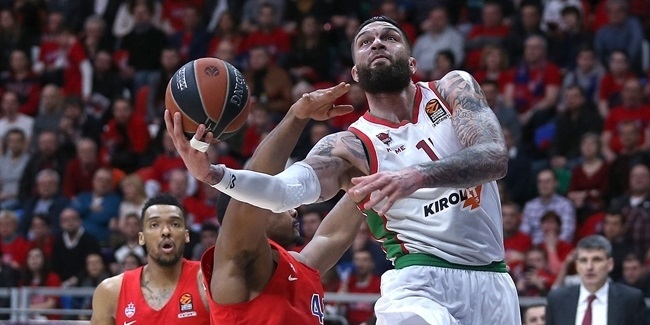 Mirotic shared the weekly high in rebounds with CSKA forward Andrey Vorontsevich, each with 11. Vorontsevich’s CSKA teammate, injured forward Viktor Khryapa is the Top 16 leader with 8.2 boards per game. Zoran Planinic of BC Khimki Moscow Region boosted his Top 16 best assist average to 7.1 per game after dishing 9 in a victory over Siena. 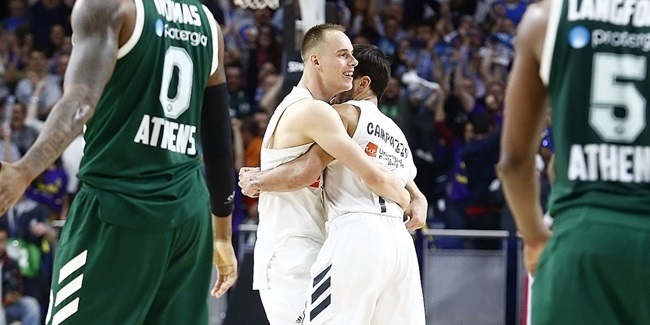 Six players – Bogdanovic, Omar Cook of Caja Laboral, Ksistof Lavrinovic of Zalgiris, Zach Morley of Alba Berlin, Sergio Rodriguez of Madrid and Devin Smith of Maccabi –topped the weekly charts with 3 steals apiece. Jamon Lucas of Efes sits atop the Top 16 standings with 2.2 steals per game. Smith also shared a spot atop the week’s best shot blockers. He, like Nate Jawai of FC Barcelona Regal, rejected 3 shots on Thursday. Maccabi center Shawn James, with 1.9 per game, is the Top 16 leader in that category. Fittingly in a week he so dominated, Mirotic posted the lone double double of Top 16 Game 10.